Anahi is an eminent Mexican actress and a song-writer. She is also the first lady of Chiapas. The beautiful award-winning star has starred in some of the finest of telenovelas & films and the former RBD member has sold around 3 million albums as solo performer. She has a nail polish line ("BE by Anahí") and a clothing line in her name as well. At a tender age of two Anahi started her career with a Chiquilladas, a television programme in Spanish. 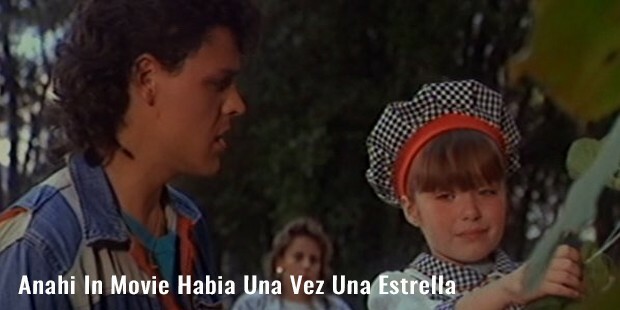 Following that, she went on to star in 2 films like “Nacidos para Morir” & “Había Una Vez Una Estrella” as well as multiple telenovelas like Mujer, Hora Marcada, Casos de la Vida Real, La Telaraña , Vivo por Elena & El diario de Daniela. In 2001 she appeared in super-hit teen soap opera Primer Amor. The next year, Anahi was cast as Jessica in the popular Mexican telenovela Clase 406, alongside Christian Chavez & Herrera Maria – who together became her mates in the famous RBD band that was launched post the huge success of Rebelde after 2 years. In 2007 RBD: La Familia was released. It was a high definition show. After four years she played the lead in Dos Hogares. The show ended in 2012. Anahi’s musical career started with the release of her maiden album Anahi when she wasa mere 10-year-old. Her 2nd album was “¿Hoy Es Mañana?” followed by Anclado En Mi Corazón and Baby Blue. She launched RBD with several popular Mexican singers in 2004. There are total nine studio albums of RBD in Portugese, Spanish and English. 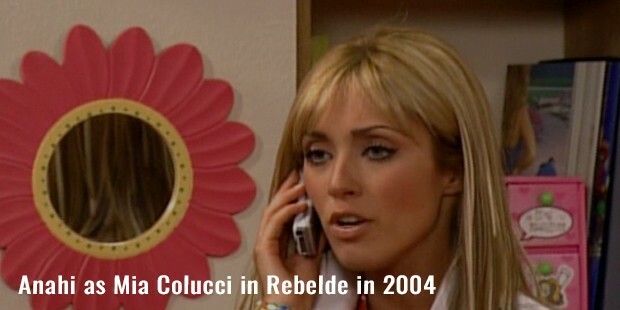 Anahi was casted as Mia Colucci in Rebelde in 2004 which went on to become a huge international hit. Following the splendid success of the telenovela, she starred in RBD: La Familia along with her RBD bandmates. Anahi had her last appearance in TV in Dos Hogares in 2011. In 2007, Anahi released compilation album Antes de Ser Rebelde. The following year, she went on her final tour (Gira Del Adios World Tour) with RBD as the band decided to dissolve. In 2009, she came up with her 1st solo, Mi Delirio, post the split. Her next single was Alergico in 2010 and the next year, she collaborated with Chavez for Libertad. The same year she released Dividida and was also invited by prodigious singer-star JUuan Gabriel to feature in Con Tu Amor. Anahi released Absurda in 2012 & her comeback single titled Rumba was released in 2015. Her album Mi Delirio earned Gold certification in Brazil & she was the 2nd Mexican artist to earn the prestigious honor. Anahi married Chiapas governor Manuel Velasco Coello in 2015. One of the most loved of Mexican celebrities, no wonder Anahi has more than 8 million followers on Twitter.